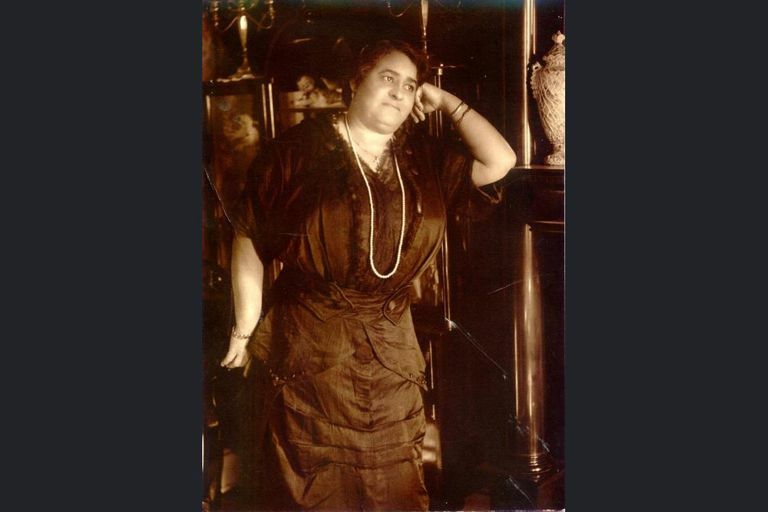 Maggie Lena Walker was the first woman bank president in the United States. Known most as a business executive, she was also a lecturer, writer, activist, and philanthropist. She lived from July 15, 1867 to December 15, 1934. Maggie Walker was the daughter of Elizabeth Draper, who had been enslaved in her early years. Draper worked as a cook's assistant in home of the noted Civil War spy Elizabeth Van Lew, Maggie Walker's father, according to family tradition, was Eccles Cuthbert, and Irish journalist and Northern abolitionist. Elizabeth Draper married a co-worker in the home of Elizabeth Van Lew, William Mitchell, the butler. Maggie took his last name. Mitchell disappeared and was found a few days later, drowned; it was assumed he'd been robbed and murdered. Maggie's mother took in laundry to support the family. Maggie attended school in Richmond, Virginia's segregated schools. Maggie graduated from Colored Normal School (Armstrong Normal and High School) in 1883. A protest by the ten African American students over being forced to graduate in a church led to a compromise allowing them to graduate at their school. Maggie began teaching. It was not Maggie's first involvement in something beyond the ordinary for a young girl. In high school, she joined a fraternal organization in Richmond, the Independent Order of St. Luke Society. This organization provided health insurance and burial benefits for members, and also was involved in self-help and racial pride activities. Maggie Walker helped form a juvenile division of the Society. Maggie married Armstead Walker, jr., after meeting him at church. She had to give up her job, as was usual for teachers who married, and, while raising their children, she put more efforts into volunteer work with the I. O. of St. Luke. She was elected Secretary in 1899, at a time the Society was on the brink of failing. Instead, Maggie Walker took on a major membership drive, lecturing not only in and around Richmond but around the country. She built it up to more than 100,000 members in more than 20 states. In 1903, Maggie Walker saw an opportunity for the Society and formed a bank, the St. Luke Penny Savings Bank, and she served as president of the bank until 1932. This made her the first (known) woman president of a bank in the United States. She also led the Society to more self-help programs and philanthropic efforts, founded an African American newspaper in 1902 for which she wrote a column for many years, and lectured extensively on race and women's issues. In 1905, the Walkers moved into a large home in Richmond, which after her death became a national historic site maintained by the National Parks Service. In 1907, a fall at her home caused permanent nerve damage, and she had trouble walking the rest of her life, leading to the nickname, the Lame Lioness. In the 1910s and 1920s, Maggie Walker also served on a number of organizational boards, including the executive committee of the National Association of Colored Women and more than 10 years on the board of the NAACP. In 1915, tragedy struck Maggie Lena Walker's family, as her son Russell mistook his father for a home intruder, and shot him. Russell was acquitted in a murder trial as his mother stood beside him. He died in 1924, and his wife and child came to live with Maggie Walker. In 1921, Maggie Walker ran as a Republican for state Superintendent of Public Instruction. By 1928, between her old injury and diabetes, she was wheelchair-bound. In 1931, with the Depression, Maggie Walker helped merge her bank with several other African American banks, into the Consolidated Bank and Trust Company. With her ill health, she retired as bank president and became board chair of the merged bank. Maggie Walker died in Richmond in 1934.